JUST IN!! 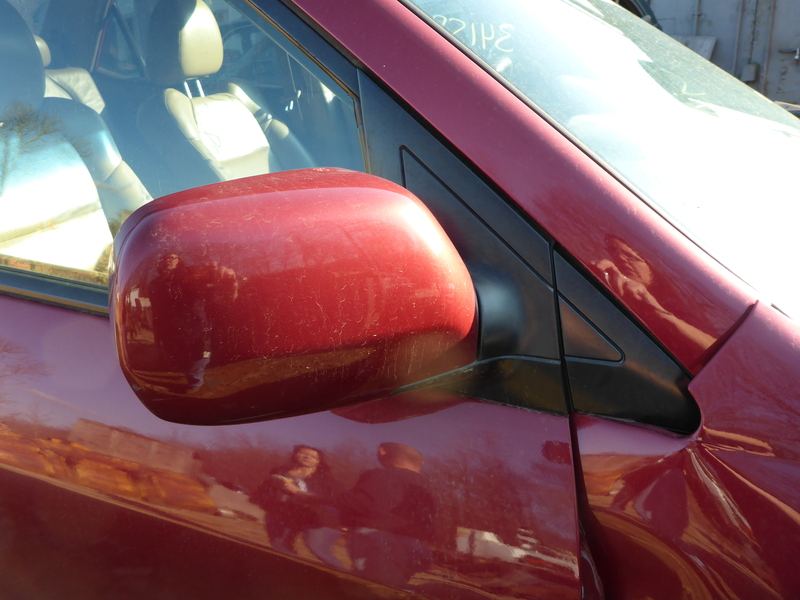 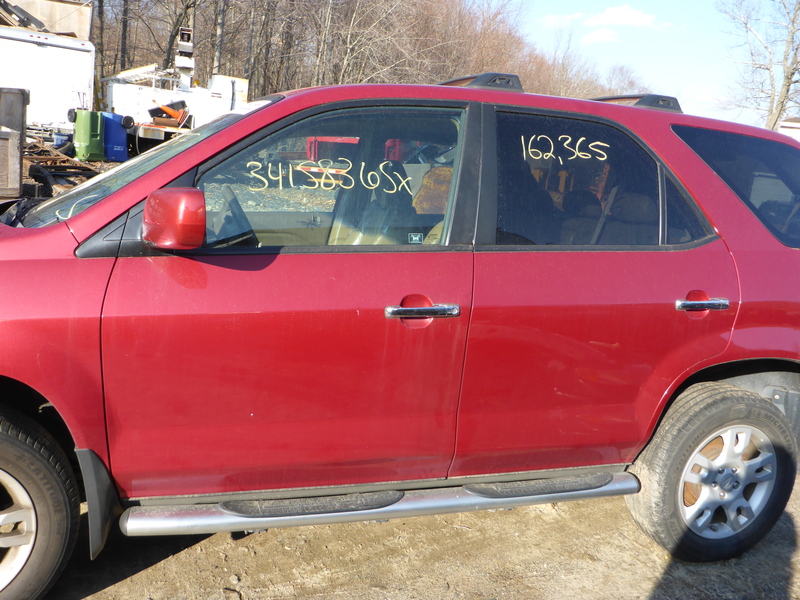 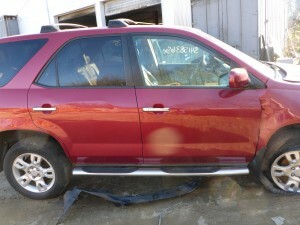 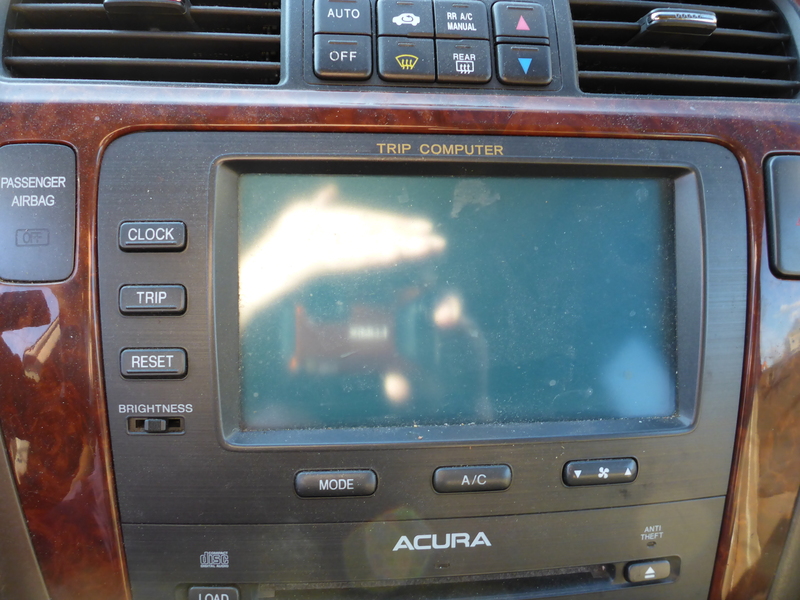 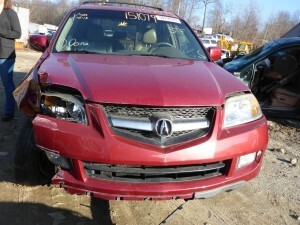 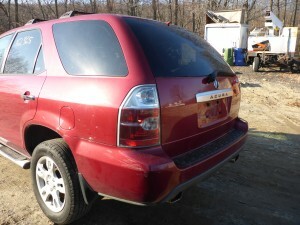 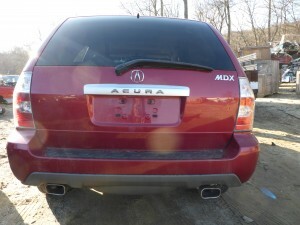 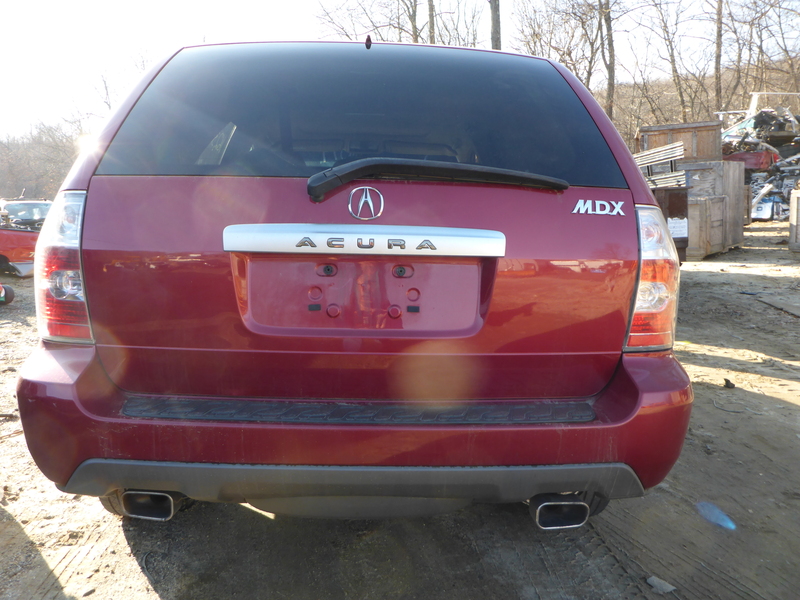 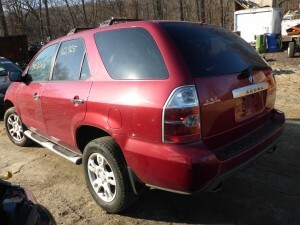 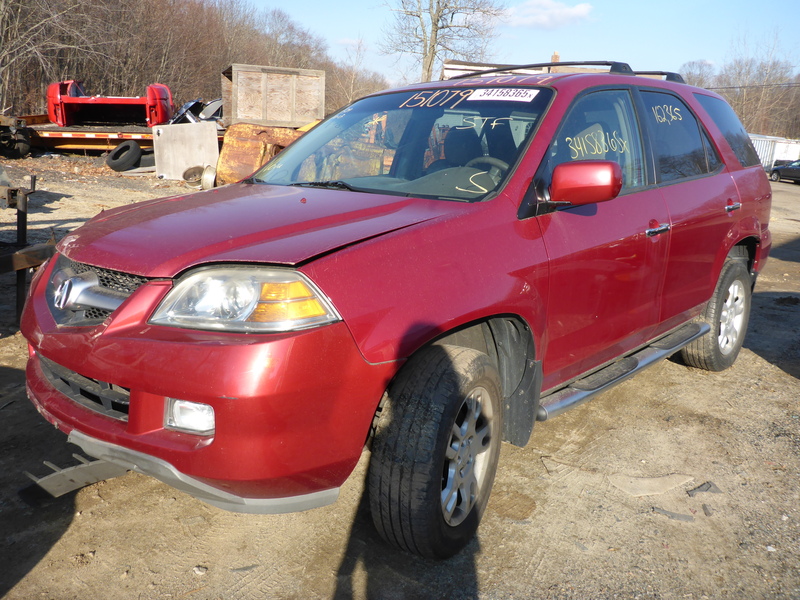 We have just received this Red Rock Pearl 2005 Acura MDX and have inventoried it for all of it’s quality replacement parts. 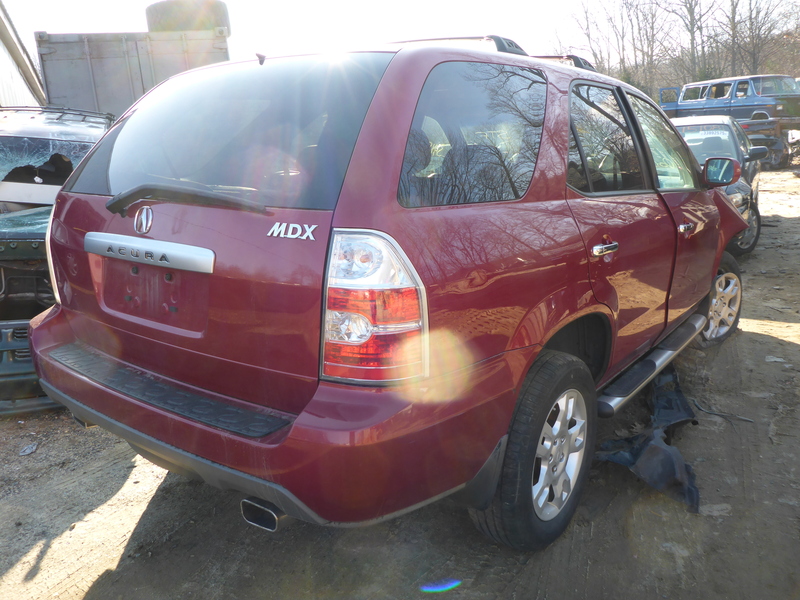 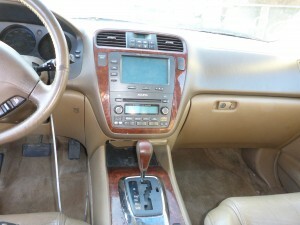 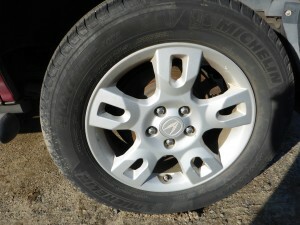 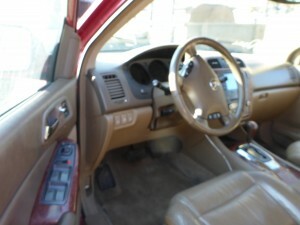 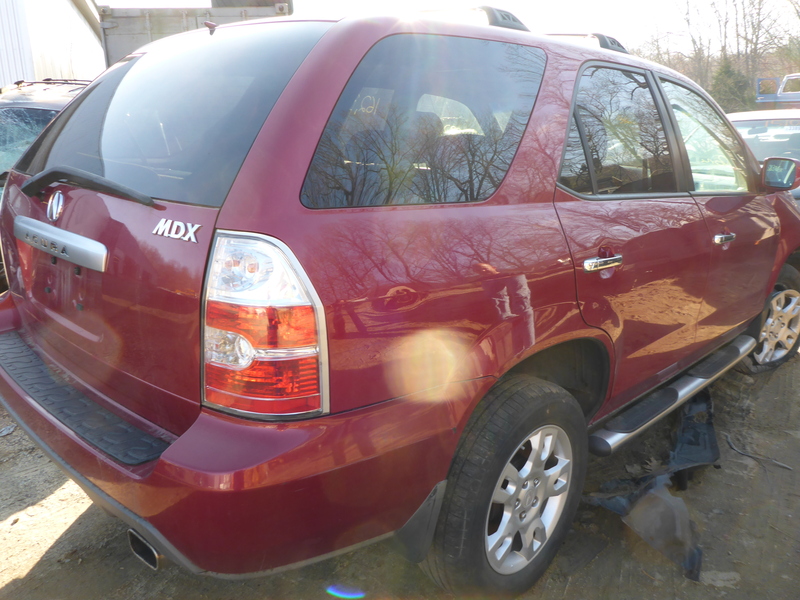 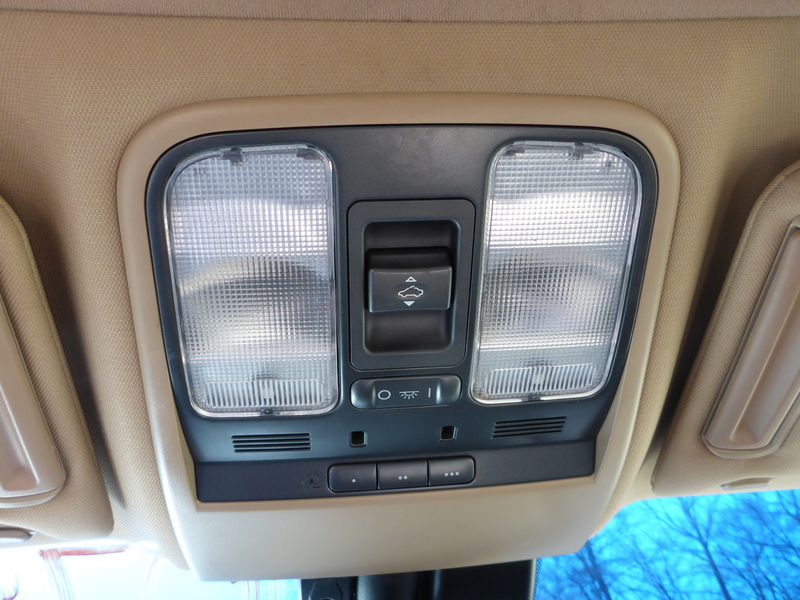 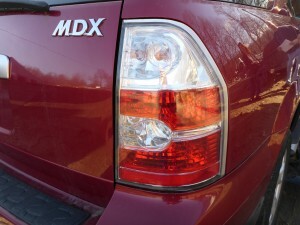 This MDX is equipped with a 3.5L engine and an automatic transmission. Some of the parts we currently have in stock off of this vehicle are: AM FM CD Stereo Receiver w/o Navigation, Air Cleaner, Alternator, Anti-Lock Brake Modulator Assembly, Chassis Brain Box (ABS), Chassis Brain Box (Airbag), Chassis Brain Box (Cruise Control), Chassis Brain Box (Sliding Door Control), Chassis Brain Box (Multiplex Network), Chassis Brain Box (Theft Locking), Chassis Brain Box (Window), Chassis Brain Box (Wiper), Clock, Coil Pack, Steering Column, Combination Switch, Complete Rear Suspension, AC Compressor, AC Condenser, Overhead Console, Cylinder Heads, Dash Assembly, Exterior Door Handles, Engine Brain Box (ECM), Condenser Fan Assembly, Radiator Fan Assembly, Engine Crossmembers, Evaporation Canister, Exhaust Manifolds, Seats, Fuel Filler Neck, Fuel Pump, Fuel Tank, Fuse Box, Grille, Harmonic Balancer, Front & Rear Heat AC Climate Controllers, Heater Motors, Hood, Inner Fender Liners, Intake Manifold, Interior Rearview Mirror, Jack, Air Bags, Axle Shafts, Spindles, Headlamps, Quarter Windows, Doors, Rocker & Post, Taillights, Latch, Calipers, Door Window, Knees, Lower Control Arms, Struts, Window Regulator, Door Trim Panels, Tail Gate, Luggage Rack, Master Cylinder, Power Steering Reservoir, Fuel Injector, Oil Pan, Coolant Overflow Recovery Bottle, Power Brake Booster, Power Window Switch, Quarter Window Regulators, Right Door Mirror, Radiator, Radiator Support, Seat Belts, Roof, Speedometer, Stabilizer Bar, Starter Motor, Steering Gear, Steering Pump, Steering Wheel, Sun Visor, Throttle Body, 225/60 R16 Tires, Transmission, Washer Bottle, Wheels, Windshield, Wiper Motor, Wiper Transmission and MANY MORE PARTS!